Dubai, Washington, England and even Space! Any place you could think of i’m sure we went there yesterday. What? Did you actually go there? Yes we did, with our eyes and mind. It may sound weird, but I tell you it was something realistic and so amazing! All the different places we went to and explored is something everyone would've definitely want to try again and again! Tuesday afternoon, after a hot interval of playing in the sun, I knew it was time to get my mind back on track. Earlier that morning, all the year 7 and 8 students were announced that there was going to be a google expedition held in the morning for the year 7’s and after morning tea for the year 8’s. I was so thrilled, I couldn't even bother going to tech. 11:30 the bell struck loudly. I paused my play, and sprinted my way to back class. All though, I was getting a bit impatient and I couldn't hold all that excitement myself, so I shared some with my friends by basically doing what normal girls do, laugh and laugh and laugh. “Mrs Tele'a's coming!” I heard a small shout from the side of my shoulder, and I immediately got into position. 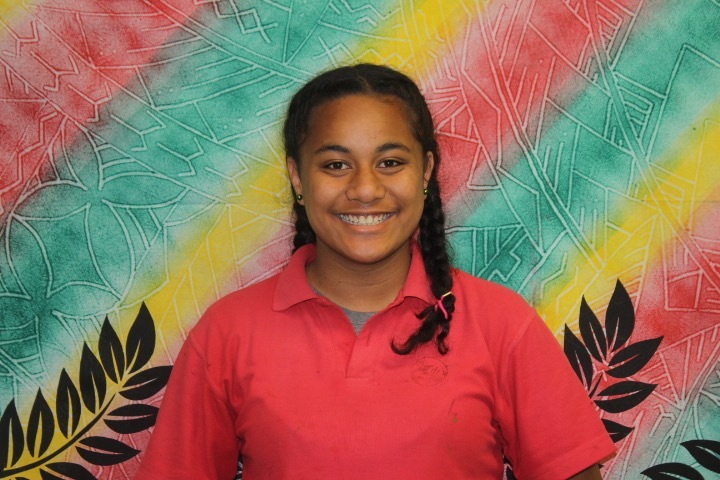 Mrs Tele’a then lead us inside the classroom and all the year 8s’ gathered together in the street for a few notices before trying the “Google Expedition.” Unfortunately, we had to do this event in our te reo groups ‘tahi, rua and toru’. Rua was the first group to try it out and so tahi and toru had to go to into their maths classes and wait for their turn. I happened to be in toru, and it wasn’t really the outcome I expected. “Woooww!” “Coool!” “Can I see yours?” All this excitement from the other group has really got me even more impatient. They looked so amazed, happy and looked like they were having a lot of fun. It felt like torture seeing them having fun. 12:06. I sat impatiently in maths class waiting for our turn. “Can they hurry up already?” “This is taking too long.” I complained in my head, as well as trying to stay on task with my maths work. “Toru, in the street now.” As soon as I heard that I raised my head and made my way into the street in quick movement. As we all sat together, Mrs Tele’a had told us our instructions before actually doing the real thing. Google Expedition happens to be the name of the event that was happening. What we were using is something called a google cardboard. It looked very similar to binoculars, but with a smartphone inside. A way to hold it, well the only way to hold it, is if you’re holding a burger or sandwich, except it’s for your eyes not your mouth. As I held it up to my eyes, I could see the different countries I could explore even the different few places. I even got to see David Attenborough (famous discovery narrator) in one of the places. The coolest thing about the Google Cardboard is that we could zoom in and zoom out and even spot different insects and animals. I had a lot of fun visiting, different cities and countries. 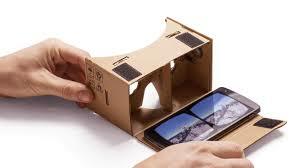 The google cardboard is something that kids in the future could use as a part of their learning. This could also save a lot of money from going to trips and events. Hopefully there would be a way that you could make your own google cardboard! This is definitely an experience i’d try again in college and share with my friends. Earlier today, the year 8's were very fortunate to have an eye opening talk by Mr Andrew Patterson. The purpose of this talk was to help us in our upcoming years in college, to prepare and organize ourselves for things we do in college that we don't do in primary or intermediate. What's a start in college, with out a talk about college before the year of college? In our talk, he discussed about the importance of time periods in college. My favourite topic he discussed about was the "7 Habits of Highly Effective Teens" He showed a movie showing a summary of those 7 habits. And of course these will become our habits next year becoming teens in college. “What team are you in?” “What do you think we’re gonna do?” “I honestly can’t wait!” Chatter started to fill up our whole street and there was no sign of shut lips. Everyone seemed to be excited that they just couldn’t stop talking or moving and you’d probably wonder why. Earlier that morning, to our surprise, it was announced by Mrs Tele’a that we were going to have an amazing race after morning tea. “Okay, shhh, shhh.” Mrs Tele’a said, capturing the year 7 and 8’s attention. There was a timetable displayed on the projector for all the groups and events that were going to happen. Just before morning tea, every teacher wrote on the board what groups we were in. This was based on who we could work well with. I was placed in a group with 6 girls including me (Ana, Jordenne, Hannah,Jennifer, Angelina). After Mrs Tele’a had introduced all the different events happening, she then sent us off to our first challenges. ‘Room 3 1A’ was the name of my group and our first challenge was called the ‘brain bust’ which was taken care of by Miss Fuamatu. This challenge was set on knowledge and on how well we know things. My group sat together on one table, eagerly waiting for the papers with questions to arrive. Miss Fuamatu started off the challenge by letting us know some instructions. Finally, the papers were handed out and we all started to hunch over the paper, focused on the questions. I’d have to say that this was one of the hardest challenges we had faced. Unfortunately, out of the whole 15 minutes my group had only reached 50 points since we did only get one question right. Everyone had different reactions to the points they had gotten, some had happy, sad, and some were even in rage. Luckily we were given extra points for departure and arrival. My favorite challenge was the photo booth challenge set by Mrs Tele’a. It had already looked exciting before we even did the challenge, due to the different colourful costumes that were laid out on the tables. The aim for this activity was to be creative in our thinking and think of the many poses we could come up with. Our first station was the hat station. It was fun dressing our heads in flowers, hats, and even wigs too! As Mrs Tele’a came by with the ipad, my group started to practice our poses. We had an idea of pretending to scare someone with our crazy hats. The street was full of amusement. My group was lucky enough to score 100 points including arrival and departure. My group seemed to be ready and excited for our next challenge which was the cookie face activity! As we walked through the street on our way to the cookie face challenge , we were able to see different groups doing their challenges. We even saw people eating spaghetti mixed with fruits and all sorts of odd stuff. Once we reached the shade outside on the courts, we noticed a big board with lots of pictures. The pictures included cookies, smiley faces and even people attempting to do the cookie challenge. All of the teams sat together in their groups, facing Ms Flavelle for instructions. The focus for this activity was to place a cookie on our forehead and attempt to put the cookie in our mouth with no sign of hands. This was a very challenging part of the amazing race. After announcing instructions, she then handed the cookies to us, which we then placed on our forehead. I could already feel the crumbles from the cookie falling out of place on my face. It was really distracting. “And... go!” Ms Flavelle shouted in excitement. In straight action, I moved my eyebrows up and down, trying to make an effort of getting the cookie at least down to my cheek. Successfully, the cookie slowly made its way down to the apple of my cheek leaving leftover crumbles behind. I attempted to reach my tongue out, aiming for the cookie, eagerly hoping to at least have the cookie in my mouth. Unfortunately, I failed the attempt. The cookie fell out of place, and slipped its way down to the concrete. It then went in shambles, only leaving nothing but little bits of cookie. The amazing race challenge is definitely a way to face challenges with people you get along with. Along the way, you get to find out new things and have fun at the same time! This is an activity, I would definitely do again, but maybe we could add even more fun stuff! But all that’s important, is that I got to face the challenges with my friends.